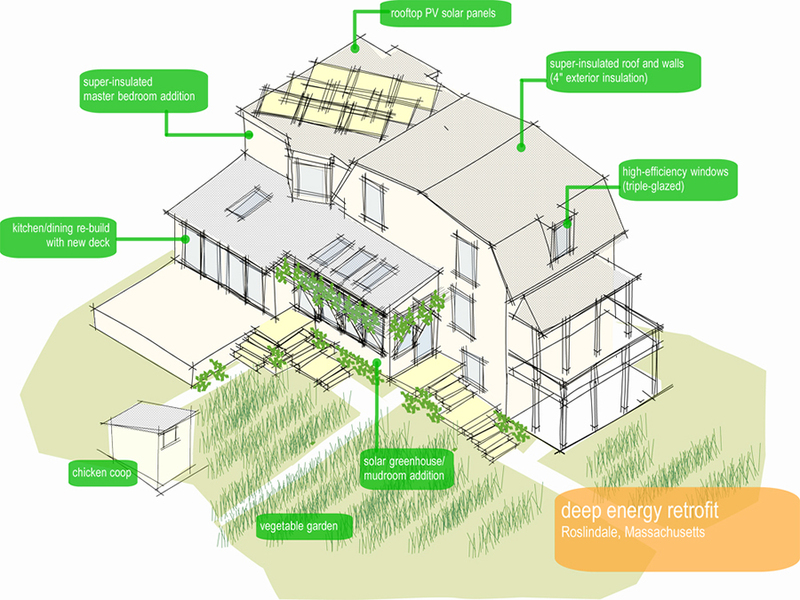 An 8-year working relationship with a family just outside of Boston has resulted in an ongoing, comprehensive overhaul of their home into a sustainable urban homestead. 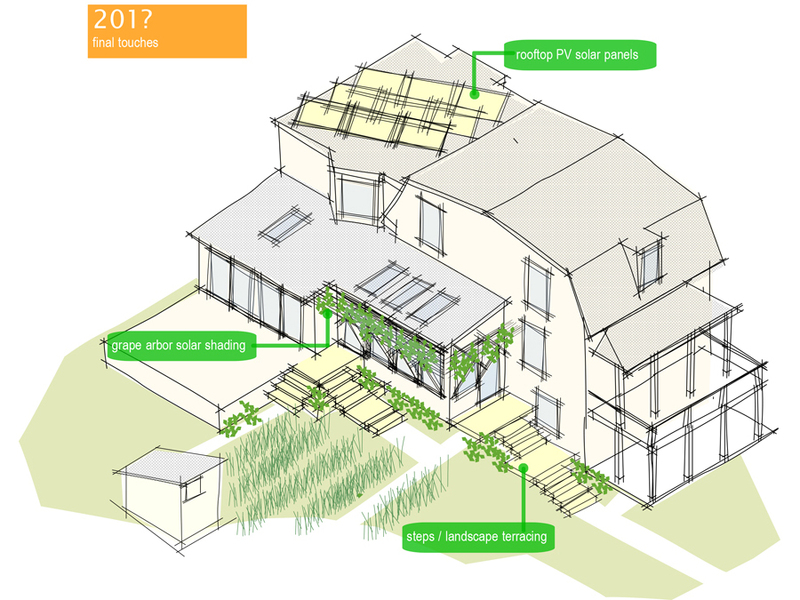 The owners are energetic and committed to a green lifestyle – managing an intensive vegetable garden, keeping chickens and rabbits and moving toward a net-zero carbon footprint. 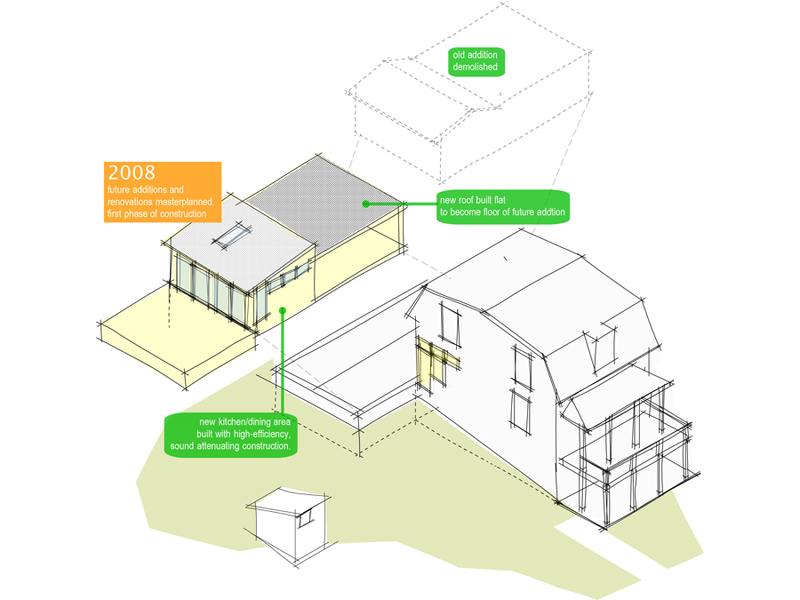 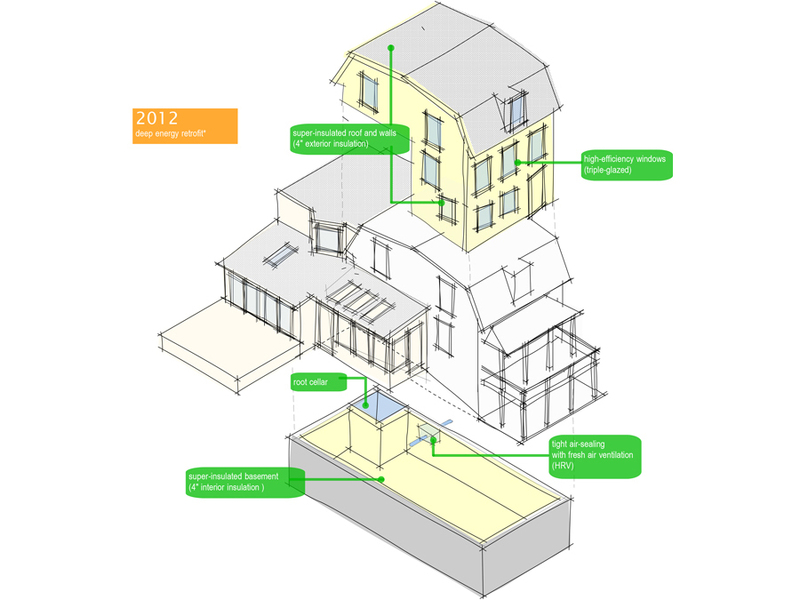 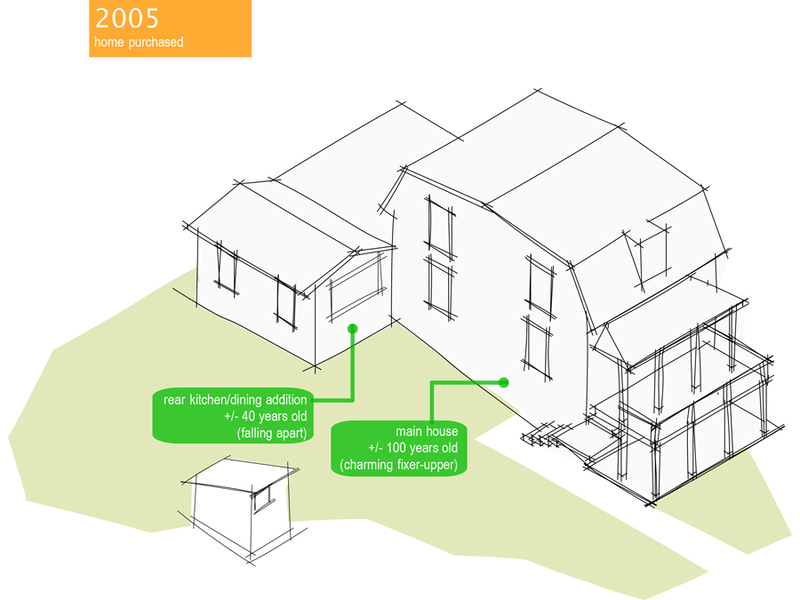 The project consists of a series of phased renovations and additions, including a ‘Deep Energy Retrofit’ – a heavily subsidized pilot program promoting super-insulated, airtight renovations to existing homes. 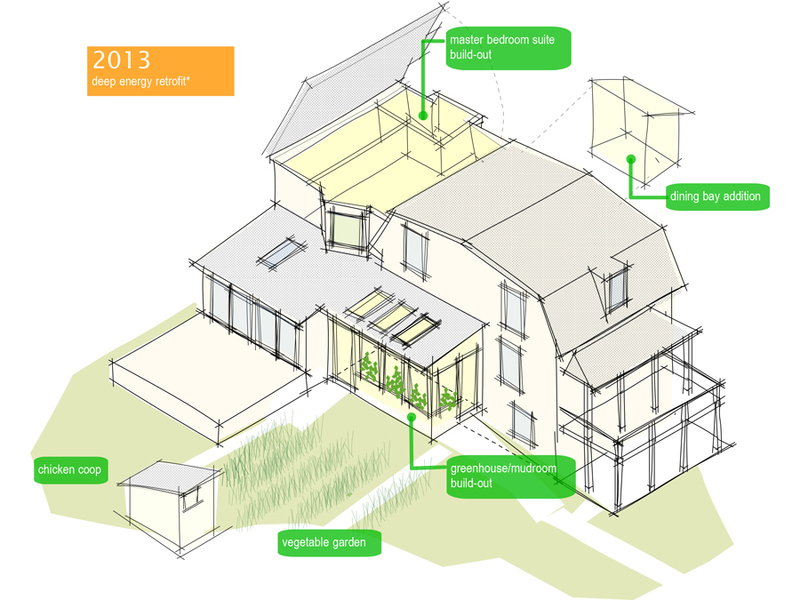 Green home design features include 10″ thick walls, triple-glazed windows, and a passive-solar greenhouse/mudroom- combining for a nearly negligible heating demand. 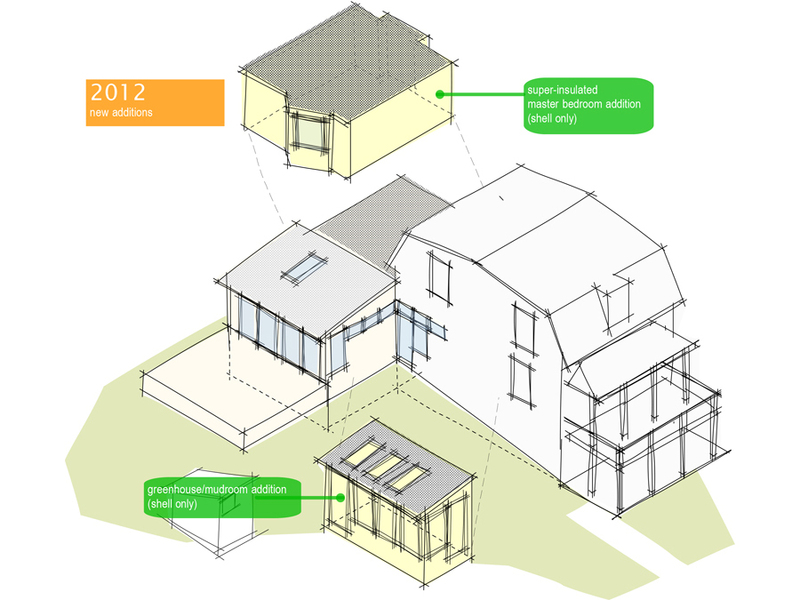 Still in the planning: roof-top solar panels, a new front porch, and side-yard aquaculture!